There are plenty of medical aid companies out there offering a range of features and functions that make them one of the standout institutions in the region. 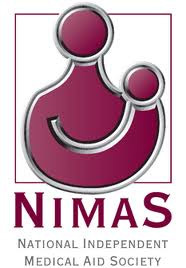 Nimas Medical Aid has now combined their medical aid services with Resolution Health Medical Scheme. Primarily, the conjoined forces of the two companies have led to the more prosperous products that are more commonly known in the market as Resolution Health. By aiming to deliver a product base that is the best, it seems everyone is now capable of getting the best medical aid possible. Resolution Health offers a set of different product plans that are assessed to retain the health of the patient-member. While Nimas is certainly no longer existent, their members still get the privilege of the medical services that is excellent. The different bases of products offered by Resolution Health are offered with the highest benefits possible. Suited to meet the demands of the public, they aim to deliver a range of benefits that fits the profile of the individual member. The Hospital Option is one of the first choices for their members. This is the product suited to fit the lifestyles of the young and active. Typically, the plan aims to deliver medical services for a group of people who are able to pay or manage their daily healthcare expenses. The benefits of the product line comes with the unlimited hospitalisation benefits, the casualty advantages, Guardian Preventative Programmes, limited coverage for OTC or Over-the-Counter drugs, and the international coverage. Progressive Flex Option is the second product offered in the market by Resolution Health, and it comes with the balanced services that are perfect for the young couple. Usually, healthy families are offered this product as it is considered to be more than sufficient for those daily medical expenses as well as hospitalisation features. Dentistry, optometry, international coverage, trauma functions, benefits for General Practitioner visits, and allocated benefit for sub-listed treatments are also part of the package deal. The third product type offered in the market is the Progressive Saver and this is considered as the hybrid product plan that comes with the convenience of a Medical Savings Account. Funded benefits as well as a range of daily benefits are what make this product line stand out in the market. Ideally, the notable features that are part of the plan include the unlimited oncology treatments, access to Maternity programmes such as the Reso Baby, extensive OTC coverage, and professional practitioner fees that are up to a hundred percent. Chronic diseases are also likewise covered under this policy. The Prestige Product Line is considered as the most comprehensive and it comes with the longer list of chronic ailments that covered by the medical plan. Popular features that are assessed as a huge advantage to the program is the professional fees for in-room treatments that range up to as high as 220 percent of the Scheme. Ideally, these are product lines specifically made for those members who have large families.